Needless to mention, I don’t hold my breath for the outcome of the current ‘peace talks’. As I mentioned many times before, Israelis are not interested in peace as they fail to grasp what peace is all about or what it stands for. 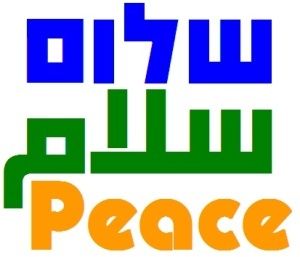 Shalom, the Hebrew word for peace, is interpreted by Israelis and most Jews as ‘security for the Jews’. Shalom therefore has nothing to do with reconciliation or living amongst others. Shalom is a judeo-centric concept, it conveys an image of hope to one people only. The Israeli Palestinian conflict can never be resolved by a ‘shalom initiative’. Shalom is there to split the land and separate the people. It is there to deny the Palestinians of their elementary rights such as the Right of Return. But let us assume for a second that I am completely wrong in my reading of the Israelis and their cultural and political understandings. Let’s for that purpose look into an imaginary scenario in which an Israeli PM wakes up one sunny morning with the unusual determination to bring about true peace. In the wee small hours, wisdom embraces him or her. He or she realises that Israel is in fact Palestine: it is stretched over historic Palestine at the expense of the Palestinian people, their livelihood and their history. He or she grasps that the Palestinians are the indigenous people of the land, and the rockets they shoot from time to time are nothing but love letters to their stolen villages, orchards, vineyards and fields. Our imaginary Israeli PM realises that the so-called Israeli Palestinian conflict can be resolved in 25 minutes once both people decide to live together. Following the Israeli unilateral tradition, an immediate televised press conference is called on the same day at 2 PM. Captivated by true righteousness the PM announces to the world and his people “Israel realises its unique circumstances and its crucial responsibility for world peace. Israel calls the Palestinian people to return to their homes. The Jewish state is to become a state of its citizens where all people enjoy full equal rights”. Though shocked by the sudden Israeli move, political analysts around the world are quick to realise that, considering Israel is the representative of world Jewry, such a simple peaceful initiative, won’t just resolve the conflict in the Middle East, it would also bring to an end two millenniums of mutual suspicions and resentfulness between Christians and Jews. Some Israeli right wing academics, ideologists and politicians join the revolutionary initiative and declare that such a heroic unilateral Israeli act could be the one and only total and comprehensive fulfilment of the Zionist dream for not only Jews have returned to their alleged historical home, they also have managed, at last, to love their neighbours and be loved in return. As much as such an idea is thrilling and exciting, we shouldn’t expect it to happen any time soon, for Israel is the Jewish state and Jewishness is a tribal ideology driven by exclusiveness, exceptionalism, racial supremacy and a deep inherent inclination toward segregation. For Israel and Israelis to become people like other people, all traces of Jewish ideological superiority must be suppressed first. For the Jewish state to lead a peaceful initiative, Israel must be de-zionised, it should first stop being the Jewish State. Similarly, in order for an imaginary Israeli PM to bring peace about, he or she must be de-Zionised first. As things stand, Israel, in its current ideological state, is categorically unable to lead the region into reconciliation. It lacks the necessary ingredients that are needed in order to think in terms of harmony and reconciliation. The only people who can bring peace about are the Palestinians, for Palestine , against all odds and in spite of the endless suffering, humiliation and total oppression, is still an ethically driven ecumenical society.